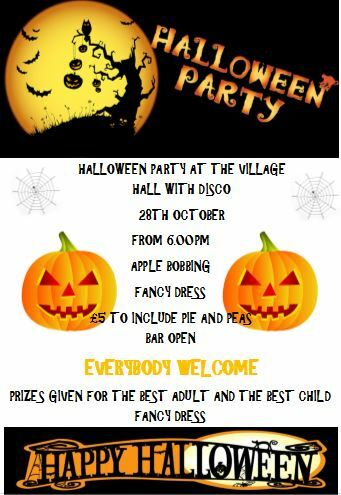 Come and enjoy a Halloween Partywith disco at the Village Hall on Saturday 28th October from 6:00pm. Apple bobbing and prizes for the best adult and child fancy dress. The bar will be open. We hope to see you all there !! !